Many brokers offer perks for signing up with them over another broker. These can be things like strategy sessions, fee-free cash outs or access to trading tools. One common perk many brokers offer are deposit bonuses. Deposit bonuses are usually ‘match’ offers. Meaning the broker will offer to match a percentage of your deposit up to so many dollars. For example, if a broker is offering a 100% match up to $500 and you deposit $400, they’ll give you $400 which brings your total bankroll to $800. Sounds good, right? Where do I sign up? But beware – bonuses are not all what they seem. Bonuses can actually do more harm than good. I’m going to explain how in just a second, along with why most traders would be better off skipping them. But first let’s look at the different types of bonuses you can get your hands on. Brokers offer different kinds of bonuses. The most common is the match bonus I described above which are usually offered to bribe new traders into making their first deposit. But here are some of the other types of bonuses you can expect to find. Reload Bonuses – These are offers made to existing customers to get them to come back and make another deposit to get them active again. Other than that they’re identical to match bonuses. Free Trades – Many brokers offer this instead of a deposit bonus. The idea is for your first x trades the broker will cover your losses. This is also sometimes described as insurance. No Deposit Bonuses – These require no deposit from you to get. You just need to create a (real money) account and the money will be deposited into your account right away. These are usually smaller bonuses and have stricter rules for cashing out. Refer-a-Friend or Referral Bonus – Brokers will pay you a flat fee (like $150 at OptionFair) for every friend you refer that makes a deposit. There are usually terms both you and your friend need to meet to get paid, like a minimum deposit and play through. Rebates – These can be viewed as bonuses. The broker might offer to pay you 10-20 percent of your losses back to you. If you’re interested in this you might want to check out our dedicated refunds/cash back page. If you want to know which brokers offer what, we suggest you read through our reviews. Otherwise, the only way to know is to visit each broker’s website, or if it’s not there, talk to one of their account managers. They usually call immediately after you create an account. Next let’s look at bonus amounts. Often the amount you get will depend on how much you deposit (as do the other perks). Usually the more you deposit the bigger the bonus you can get. Standard / $750 Deposit / 40% match bonus, 1 strategy session and academy access. Executive / $1,000 Deposit / 75% match bonus, 5-risk free trades, VIP academy access and 3 trading strategy sessions. Micro / $200-$499 / 25% match / 10% match bonus on future deposits. Mini / $500-$999 / 35% match / Get a 20% bonus on future deposits, weekly call sessions and 4 x $25 risk free trades. Standard / $1,000-$4,999 / 50% match / Get a 35% match on future bonuses, 4 x $50 risk free trades and weekly calls. Gold / $5,000-$9,999 / 75% match bonus / Get a 50% match on future bonuses, a personal account manager, weekly strategy training, trade alerts, 10% trade insurance, free auto trading signals for one month and 4 x $250 risk free trades. 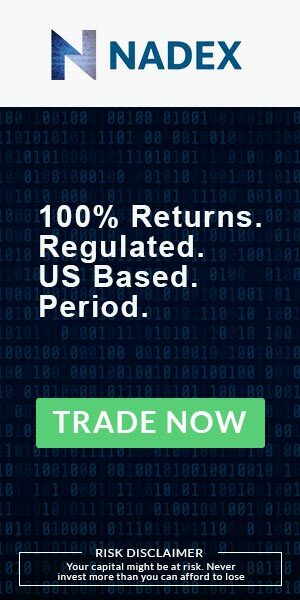 VIP Platinum / $10k-$25k / 100% match bonus / Get a 100% match on future bonuses, a personal account manager, 10% insurance, weekly reviews, trade alerts, three months free on auto trading signals and 4 x $500 risk free trades. The highest tiers will give you a larger match bonus. The more money you deposit the more money the broker is willing to give you. Last thing – one thing you want to pay attention to if you plan to deposit the minimum amount is the difference between the minimum deposit and the lowest account tier. Sometimes the difference is only $50 or $100, which could mean the difference between getting a larger bonus –or– getting a bonus at all. Assuming you even want one, of course. Most people shouldn’t. The next section will explain why. Let me explain how bonuses work. This will apply to other industries, too, such as poker, online casinos and sports betting. Skip over this at your own risk. Here’s the general idea of how bonuses work. Say you take advantage of a 100% match offer up to $1,000. You deposit the full amount ($1,000). What happens next is the broker will deposit their match into your account immediately which you can use right now. Your total bankroll is $2,000. What most brokers ask you to do is wager so may dollars. These are called rollover or play through requirements. The idea is to prevent you from making a deposit, getting your bonus and cashing out right away. The broker will say you need to wager something like 20-50x the deposit, the bonus or both the deposit and the bonus. Let’s say there’s a 30x play through on both your deposit and bonus. That means you’d have to wager $60,000. And you’d have to wager this BEFORE you could receive a cash out. In other industries if you tried to cash out any sooner the operator would simply void your bonus and any winnings you may have earned. But from what I’ve seen binary options brokers will just decline your request saying you need to complete your bonus (terms). It’s very important you understand this. Everyday there are people flocking to forums to complain about how they tried to cash out their winnings, but couldn’t and how the broker is this mega-scam. When, in reality, it’s their fault for accepting the bonus. My opinion – so skip the bonus. It’s not worth it anyway. I mean, lets face it – binary options is the equivalent to betting on coin flips while agreeing to odds worse than 1:1. The variance alone can eat a $2,000 bankroll for breakfast. And yet you have to wager $60,000 before the broker will let you cash out. For most traders accepting the bonus just doesn’t make sense. Most people want to cash out their winnings when they feel like it. So skip the bonus. It’s easy to do. Most brokers will ask you up front if you want the bonus. Just say no. And in other cases you can contact support and ask them not to give it to you. Just be sure to save all messages and emails. There have been reports of (shady) brokers giving traders bonuses even after the traders have made it loud and clear they don’t want it. If you have any questions about this, ship the broker an email BEFORE you make your deposit. Some brokers do give you the benefit of the doubt and a small grace period, but most don’t. And this isn’t something you want to take a chance on. Not if you ever want to get a cash out, at least.